One piece design with an added double sole. 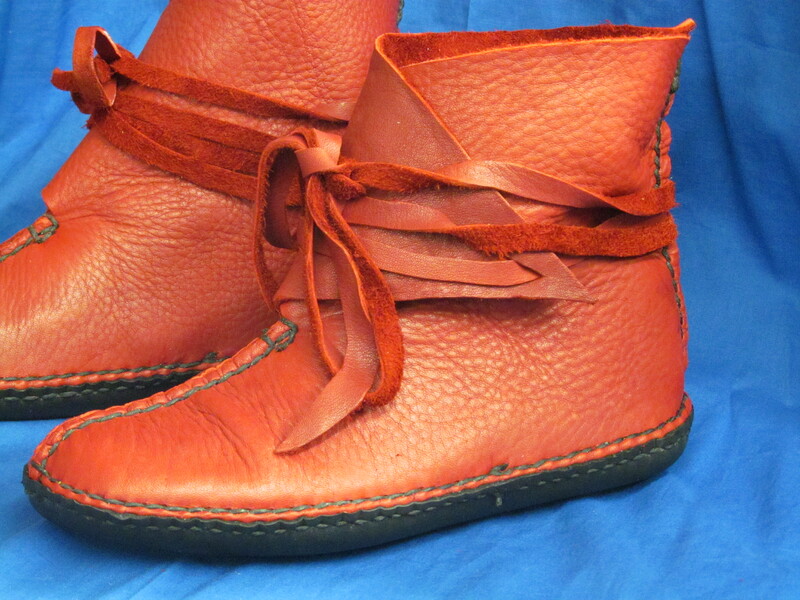 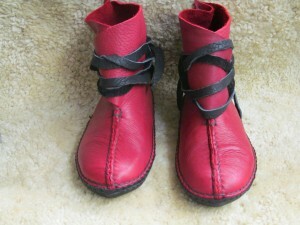 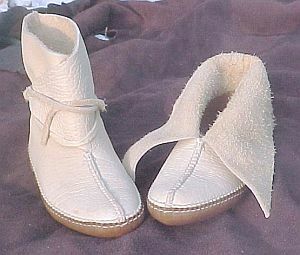 Lined to ankle height with either elk or shearling. May be worn with the flaps up or down.